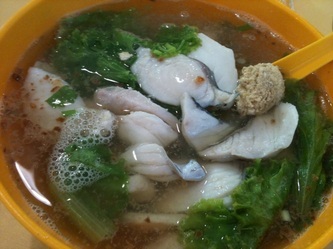 When it comes to Fish Soup, nothing beats my childhood favourite stall at Jurong West Food Centre called Heng Heng Cooked Food. This stall has been around for more than 20 years and there is always be a long queue waiting at this stall. I ordered a bowl of Fish Soup with Fish Roe. Some people find the soup bland but I think it is naturally sweet and tasty without any fishy stench. However, do expect some fishy smell if you order the fish head soup though. 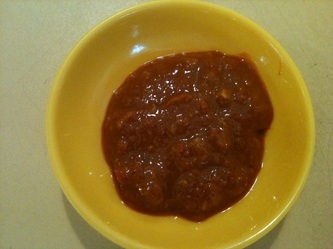 Fried garlic was added into the soup and that makes the soup more fragrant and delicious. The fish and the fish roe are very fresh and do not have any fishy smell or taste. If you are a chilli lover, you must not miss the belachan chilli that comes with the fish soup. Dip your slice fish into the belachan and you'll be surprised by how delicious a seemingly plain and normal sliced fish can taste. This is one of the best Fish Soup I have ever tasted. This stall is definitely not to be missed.